MT CARMEL - Are you looking for a Private Cabin on Wooded Land with Great Hunting and a spring fed Rock Bottom Creek?! This gorgeous land also features a secluded unfinished Log Cabin which sits almost ¼ mile back off a rural county blacktop rd., offering all the privacy anyone could ask for! Cabin is extremely well-built with a combination of Cherry, Hickory, and Oak logs, and features a nice metal roof. As you can see in the pictures, the rafters are trusses, which allows you to arrange the interior walls anyway you like, without having to worry about load bearing walls. The thick concrete floor adds even more stability to the cabin, and pipes have been stubbed out for the plumbing. Electricity has been established, and there was a spring behind the cabin that was going to be used for water, but over the past few years the spring has filled in and would need to be dug back out to start the water flowing again. This spring also filled the small Pond that is located in front of the cabin. Other structures on the property include a 32ft x 35ft metal shop with 2 roll-up doors, a three sided block building, and a small storage building close to the cabin. The acreage is a nature lovers dream come true, with hills and valleys covered in mature hardwoods such as Cherry, Oak, Hickory along with rock outcroppings, and when the leaves are off the views from the hilltops are breathtaking! Whitetail deer, Turkey, and Squirrels are in abundance, and you can hunt on your own property without having to purchase a license. And if that wasn’t enough to get you excited, there is approx. 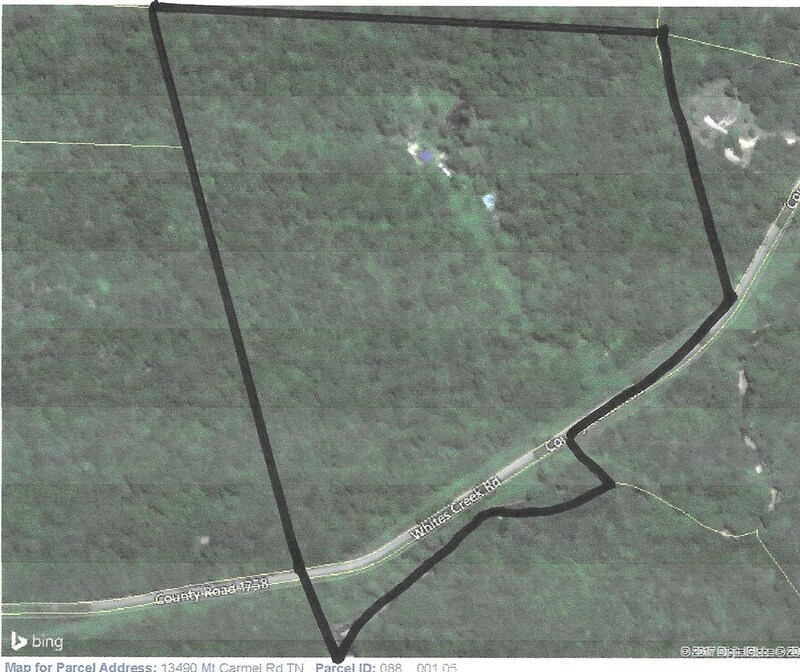 2.5 acres of this phenomenal property, located across the blacktop road, that features about a 1,000 ft of frontage on a gorgeous clear spring fed rock bottom creek!! I have lived here in Hardin County my entire life. I can't think of a safer, more beautiful location to call home and help my wife raise our 3 boys.